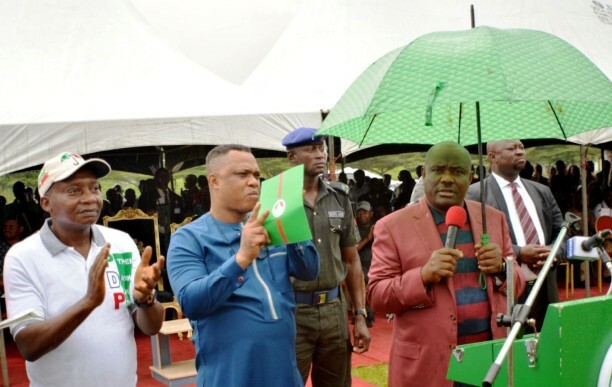 The Rivers State Government has expressed fears over the possible assassination of Chief Nyesom Ezebunwo Wike before the December 10 rerun elections in Rivers State. The State Commissioner for Information and Communications, Dr. Austin Tam-George, who raised the alarm said the safety of the Chief Executive of Rivers State cannot be guaranteed following the criminal withdrawal of his Chief Security Officer days before the rerun elections in Rivers State. 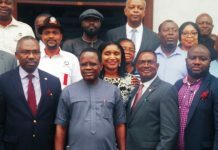 Dr. Tam-George described the withdrawal as criminal, vexatious and undemocratic especially now that all security breaches in the state will be blamed on the State Chief Executive. Meanwhile, the Rivers State Governor, Chief Nyesom Wike has revealed that in continuation of the Police High Command’s plot to assassinate him; his Chief Security Officer (CSO) has been withdrawn. 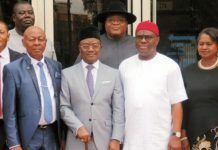 The governor said the CSO was withdrawn on Monday alongside several other policemen from Government House, Port Harcourt. Wike added that the Police High Command also effected the transfer of 500 senior and junior police officers from the state, and posted to the state, policemen saddled with ulterior agenda. He spoke on Monday in Khana Local Government Area when he led Peoples Democratic Party (PDP) candidates to campaign in Babbe, Ken-Khana and Nyor-Khana districts. 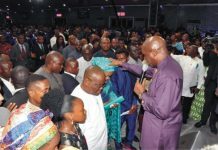 The state chief executive officer explained that with the obvious partisanship of the police and its plot to compromise his security, he was looking up to God and the youth to protect him. The governor said the Police High Command withdrew his chief security officer after the Assistant Commissioner of Police, Steven Hasso, attempted to invade Government House, Port Harcourt alongside All Progressives Congress (APC) thugs without success. He said that despite the partisanship of the leadership of the police, the Inspector General of Police has no vote and cannot vote in Rivers State. “Does the Inspector-General of Police vote in Rivers State? The APC can take the IG. For me, I will remain with the people”, Wike said. He charged the youth in all the locations where elections would hold to monitor results from polling units to the collation centres, adding that the youth must vehemently resist anyone trying to smuggle in cooked results. He declared Wednesday to Friday as fasting days for the December 10, rerun elections, and urged the people of the state to use the three days to pray for peaceful and credible elections. The governor called on Ogoni people to vote for all PDP candidates during the rescheduled legislative re-run elections. In his remarks, Senator Lee Maeba urged Ogoni people to vote Senator Olaka Nwogu to represent the Rivers South-East Senatorial District, alleging that Senator Magnus Abe and former Governor, Chibuike Rotimi Amaechi, conspired to deny Ogoni people projects. 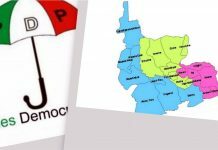 In another development, the ruling All Progressives Congress squared up with the Peoples Democratic Party in separate statements yesterday over an alleged interference with Governor Nyesom Wike’s security apparatus. 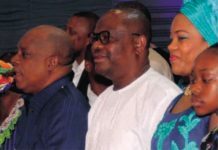 The major political parties tore into each other a day after Governor Wike told newsmen that his Chief Security Officer and other key personnel in his detail had been removed. Their crossfire, which comes as campaign intensifies for the December 10 legislative elections, persisted despite police’s insistence that they were unaware of the development. The latest controversy is the second time Mr. Wike will make issue out of his security. On November 26, the governor openly scolded the Rivers State Commissioner for Police for allegedly ordering a drawdown of his security personnel. But in a statement yesterday morning, the PDP said it had been duly informed that a majority of the security personnel attached to the governor had been withdrawn. 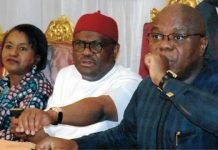 Dayo Adeyeye, spokesman for the interim leadership of the PDP, said the alleged withdrawal was part of a purported plot to weaken Governor Wike’s security and leave him vulnerable to fatal attacks. “The method being applied by the APC in the Rivers re-run elections is to use security agencies to withdraw the security details of the governor and expose him to danger of being assassinated in order to cow him to succumb to their rigging plans,” Mr. Adeyeye said. 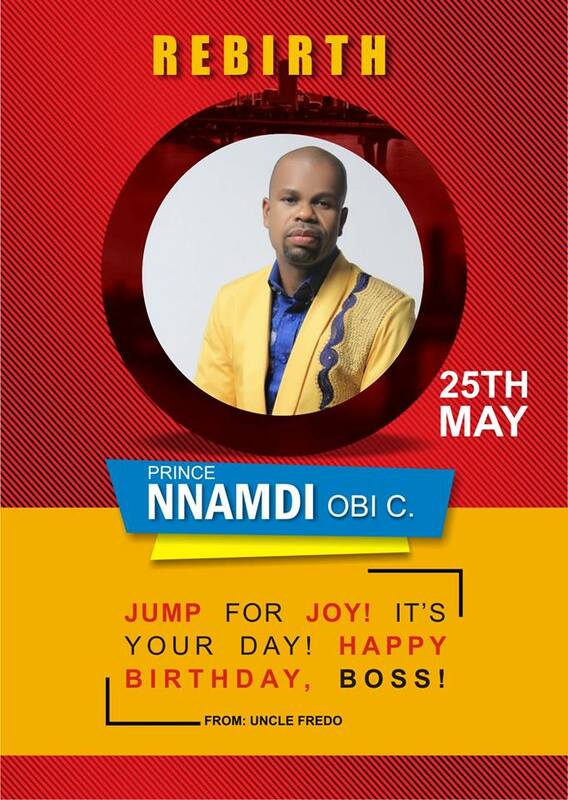 Consequently, the PDP gave the police and the State Security Service three days to restore the governor’s detail. “We, therefore, call on the Inspector General of Police, Ibrahim Idris and the Director General of State Security Services, Lawal Daura to, as a matter of urgency, restore all the security details of Governor Nyesom Wike and to secure Government House, Port Harcourt, Rivers State.